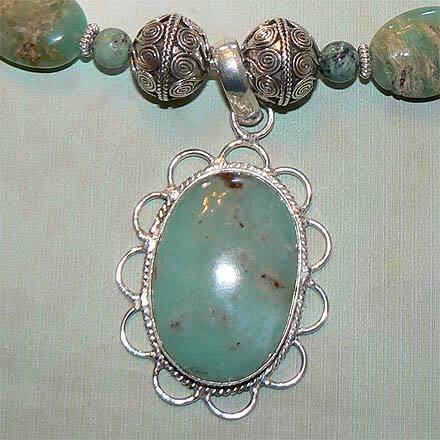 Sterling Silver Chrysoprase Necklace. See Closeup. 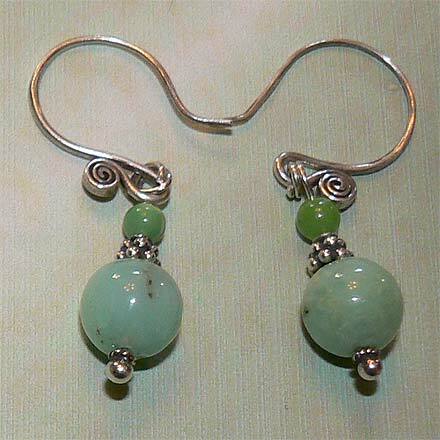 Chrysoprase is a kind of chalcedony that contains small amounts of nickel which gives it the beautiful light green color. 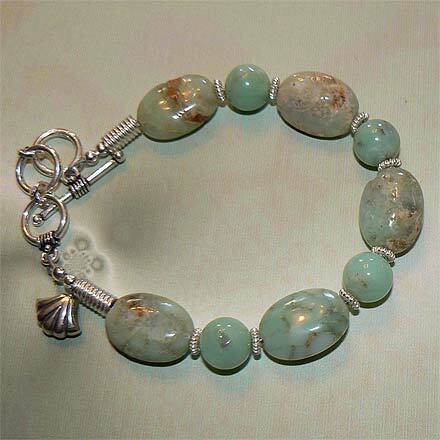 The bracelet has an adjustable clasp. 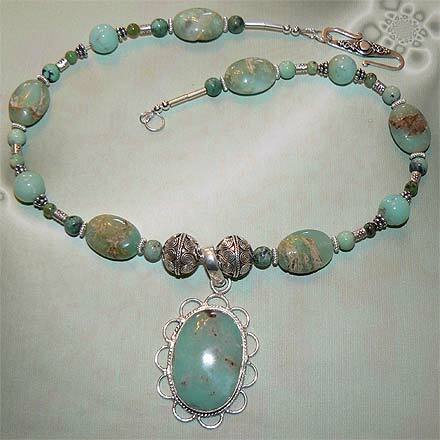 For those who are interested in Astrological significances of stones, Chrysoprase corresponds with Libra.